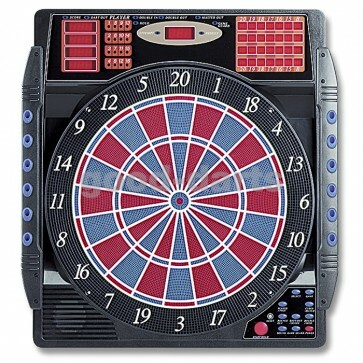 A professional 2-hole Dartboard for training purposes for league and tournament players. Due to the 2-hole spacing in the double and triple segments you play to the same extent, like the darter in the professional e-darts league. 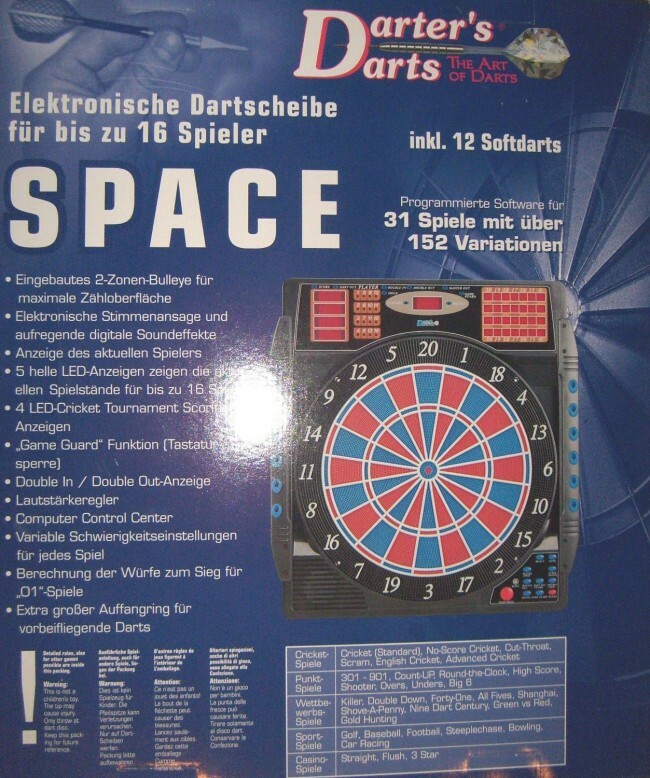 Due to the unique competition mode called Cybermatch, where you can play against 5 computer opponents at the same time, this dart machine "Space" is the optimal training partner for your home. Pleasant sound effects and an electronic voice response can be set loud or quiet depending on your needs. For each of the 38 games in total, variable levels of difficulty can be set so that they can train at a higher level with increased performance. 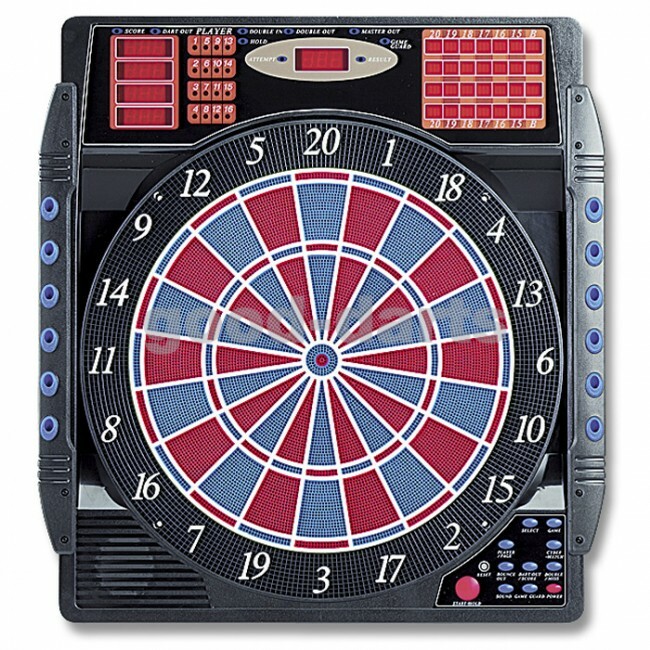 So you can use this dartboard to prepare perfectly for the next tournament or league game. The dartboard has excellent mating properties for long and short tips. However, this dartboard is not suitable for M3 dartboards with short tips. The extra-large catch ring also keeps darts stuck in the board that have not landed on any of the well-crafted segments.